Northern Europe’s Nordic Countries – Norway, Iceland, Finland, Denmark and Sweden – and the associated regions of the Faroe Islands, Greenland and Aaland represent a valuable component of the global music industry. In 2010, Sweden was one of 13 countries to see digital sales and performance rights grow, reflecting the new opportunities of online and mobile channels. The five countries share many similar characteristics – language, topography, climate, a strong emphasis on music education and dynamic domestic scenes – as well as a reputation for technological prowess: firms such as Sweden’s Spotify, Iceland’s online social music marketplace gogoyoko and telecoms giants Nokia (Finland) and Ericsson (Sweden) are pioneering advances in global online and digital infrastructures. 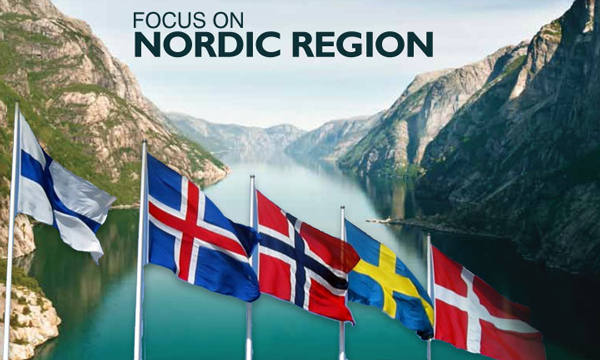 The territories are working together to develop a single cohesive market plan and talent exchange between the Nordic countries. Canadian Music Week will bring these regions into focus for Canadians and explore how this development makes it ideal and feasible to pursue as a potential export market.